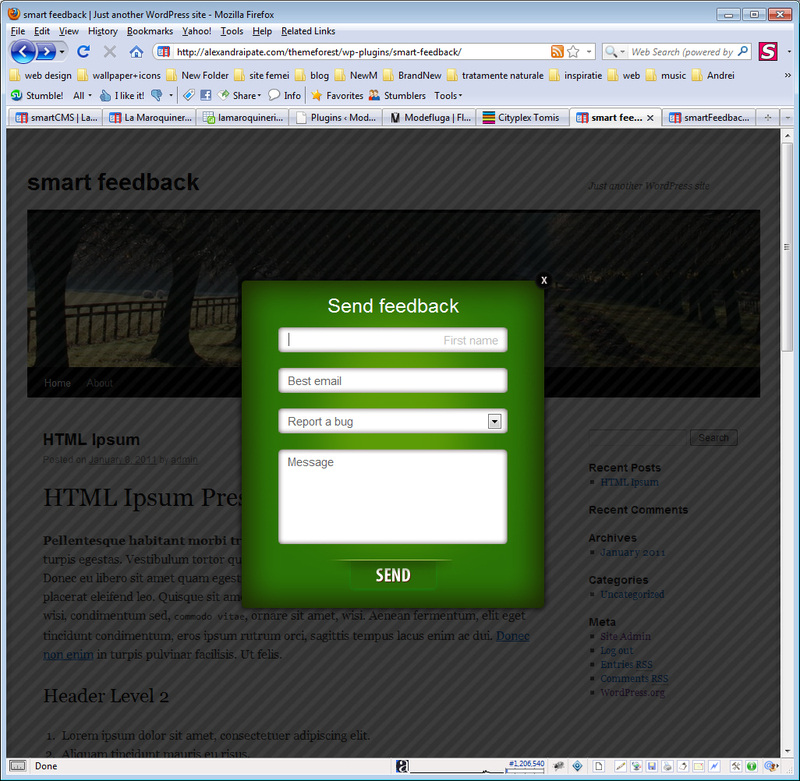 Want to give your users the posibility to send you feedback in a easy & special way? 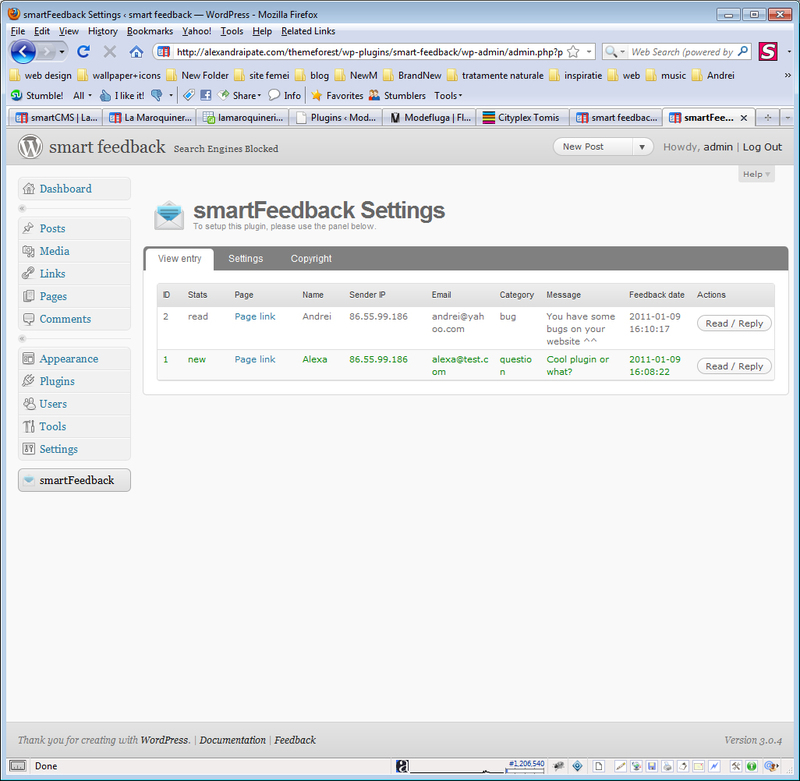 smartFeedback gives you that posibility! 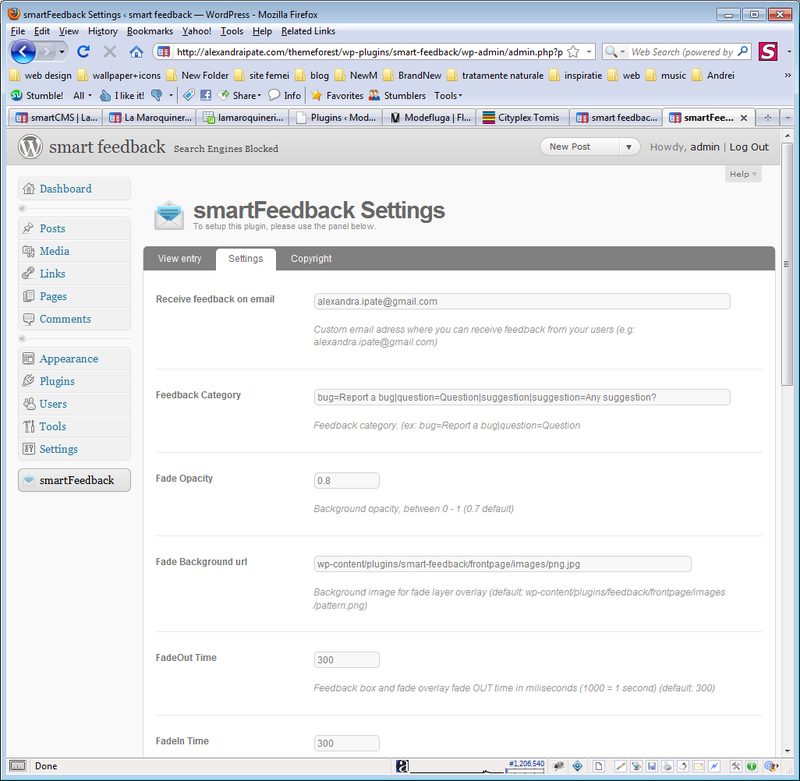 Receive feedback on email – Custom email adress where you can receive feedback from your users. 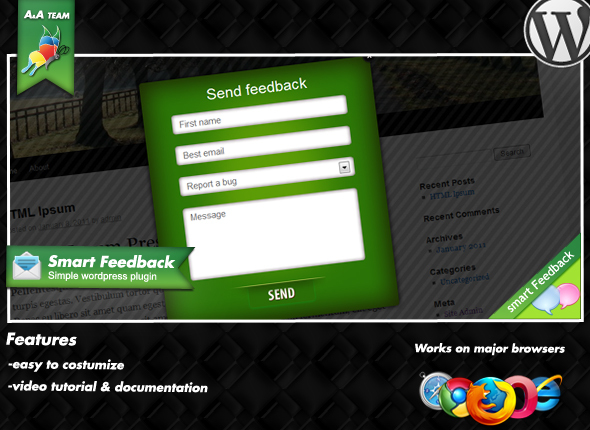 If you have any problem with the plugin don’t hesitate to contact me. 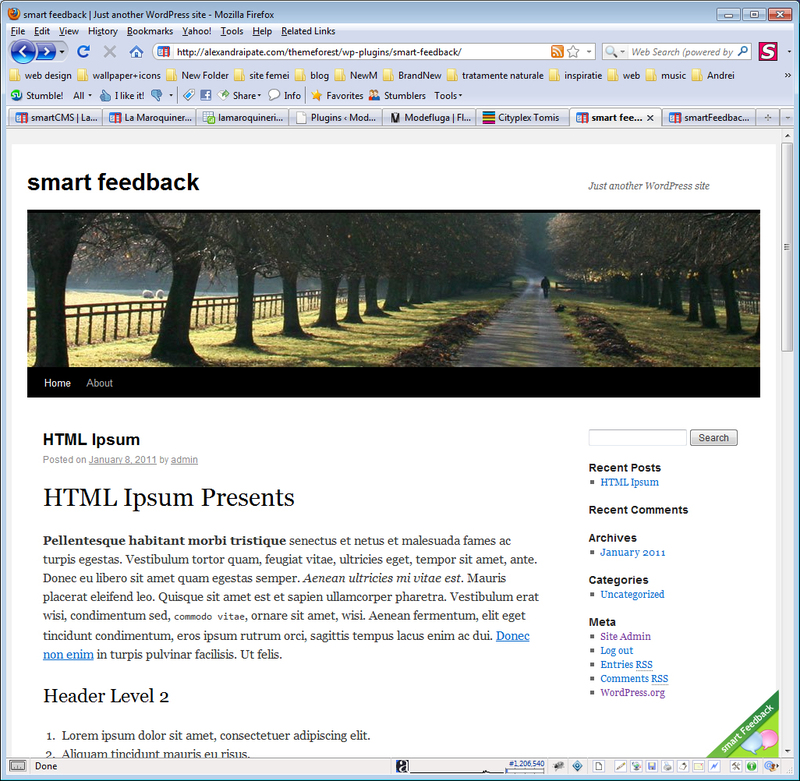 P.S:Don’t forget to rate it!